Microntech Engineers is an industrial group, who are manufacturer, exporter and dealer of wide range of assembling tools and accessories providing complete range of assembly tools solutions for tightening applications. 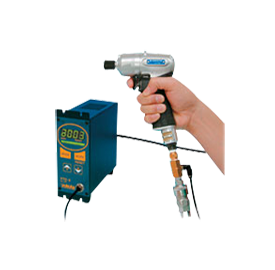 Microntech helps its customers to dofault free production by providing them Yokota pulse tools and Kilews Electric Screwdrivers with Poka-Yoke feature. Poka-yoke is a quality assurancetechnique developed by Japanese manufacturing engineers. The term "poka-yoke" comes from the Japanese words "poka" (inadvertent mistake) and "yoke" (prevent). The essential idea of poka-yoke is to design your process so that mistakes are impossible or at least easily detected and corrected.